1. 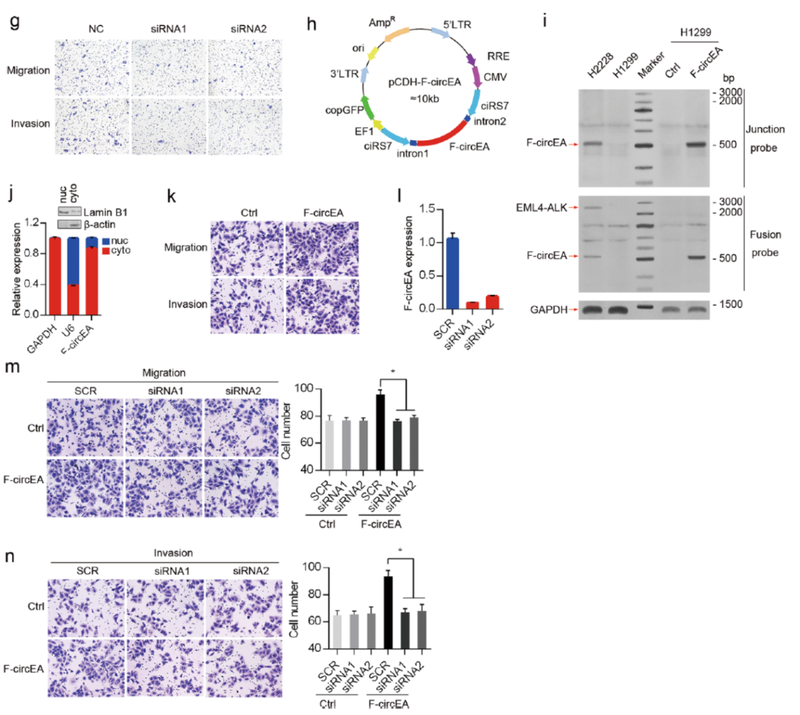 Shuangyan Tan, Q.G., Wenchen Pu, Chenglin Guo, Yun Yang, Ke Wu, Yaxin Liu, Lunxu Liu, Yu-Quan Wei and Yong Peng, Circular RNA F-circEA produced from EML4-ALK fusion gene as a novel liquid biopsy biomarker for non-small cell lung cancer. Cell Research, 2018. 2. Guarnerio, J., et al., Oncogenic Role of Fusion-circRNAs Derived from Cancer-Associated Chromosomal Translocations. Cell, 2016. 166(4): p. 1055-1056.